1 fl oz USDA Certified Organic Full Spectrum Hemp Extract Drops contains 1500mg of Full Spectrum Extract made from USDA Certified Organic Proprietary Hemp Cultivars, holding a rich spectrum of beneficial cannabinoids, terpenes and other phytochemicals. 4 oz, 500mg Full Spectrum Hemp Extract made from USDA Certified Organic Hemp Cultivars, holding a rich spectrum of beneficial cannabinoids, terpenes and other phytochemicals. 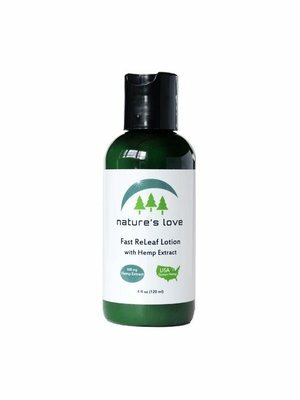 This light and silky lotion absorbs quickly and doesn’t leave a strong odor. 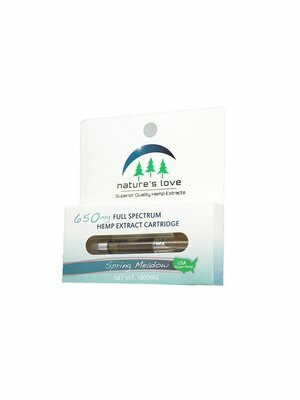 1 ml cartridge with ceramic atomizer, containing 650mg Full Spectrum Hemp Distillate Extract (500mg CBD) blended with Organic “Spring Meadow” terpenes. 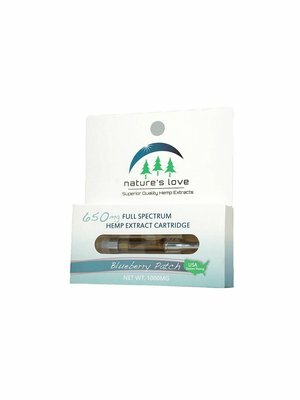 A sweet & fruity flavor with the essence of juicy blueberries and at least 500mg CBD per cartridge. This organic Topical ReLeaf Salve combines our organic full-spectrum extract with a luxurious blend of Organic Virgin Coconut Oil, Organic Cocoa Butter, Organic Shea Butter, Organic Beeswax and a blend of organic pure essential oils for scent. 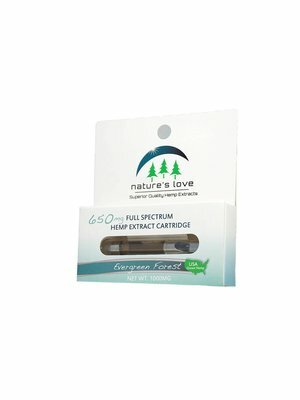 1 ml cartridge with ceramic atomizer, containing 650mg Full Spectrum Hemp Distillate Extract (500mg CBD) blended with Organic “Blueberry Patch” terpenes. A sweet & fruity flavor with the essence of juicy blueberries and at least 500mg CBD per cartridge. 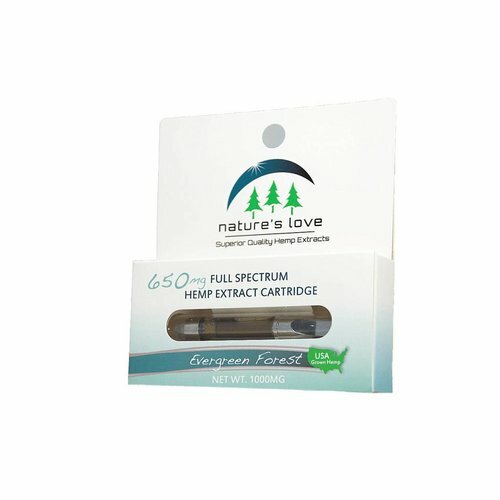 1 ml cartridge with ceramic atomizer, containing 650mg Full Spectrum Hemp Distillate Extract (500mg CBD) blended with Organic “Evergreen Forest” terpenes. 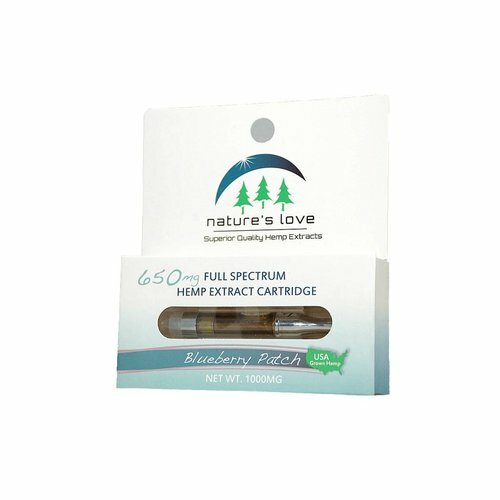 A sweet & fruity flavor with the essence of juicy blueberries and at least 500mg CBD per cartridge. 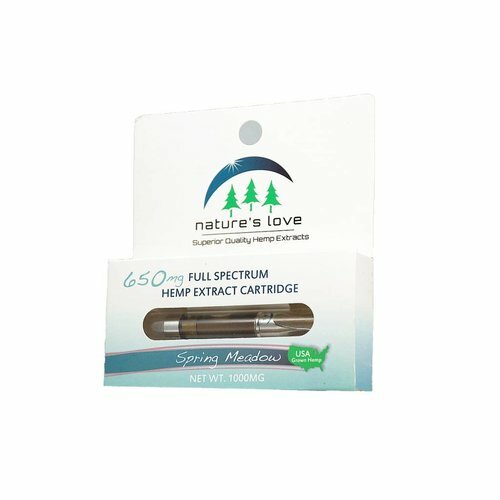 1 fl oz USDA Certified Organic Full Spectrum Hemp Extract Drops contains 500mg of Full Spectrum Extract made from USDA Certified Organic Hemp Cultivars, holding a rich spectrum of beneficial cannabinoids, terpenes and other phytochemicals.